In the endless quest to deliver value, innovative procurement teams are taking a different perspective. Systems thinking approaches are helping to ‘close the loop’ on resources and waste: reducing business risk, increasing resilience and creating long-term strategic benefits. 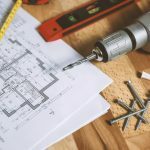 Discussing the circular economy with procurement teams highlights perceptions at opposite ends of a spectrum: ‘circular’ is either just a new buzzword for resource-efficiency and recycling; or it means reinventing products, materials or business models. 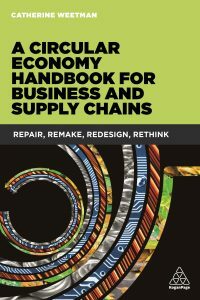 In this article, I’ll suggest ways you can use a circular economy ‘lens’ to shape procurement decisions: to reduce risk, improve resource security, enhance reputation and create competitive advantage. We’ll start by summarising the key circular economy principles, then quickly look at the macro trends causing business and government to re-think traditional approaches to production and consumption. We will explore how you can use it in your procurement toolbox, using a systems-thinking approach to plot practical routes to ‘future-fit’ strategies. How would we describe a ‘perfect’ circular design, for products, packaging, equipment and infrastructure? An overarching aim is to extend the life of materials and products, ideally over multiple ‘use cycles’. Thinking in terms of “waste = food” helps to recover materials and create value from by-products. Materials should be renewable, or recycled (not downcycled) and recyclable – and ideally local. Durable products and equipment that last longer can also be used ‘more intensively’ or shared: reducing inputs while allowing more users to access the product. An example is tool hire, offering robust equipment with better performance than the consumer-focused version. To support these longer, more intense use cycles, product designs focus on efficient, effective disassembly and repair, perhaps using modules to allow rapid swapping of parts in situ. Fairphone’s modular smart-phone supports upgrading: the user can install a better camera lens or battery in seconds, returning old parts for recycling to recover those valuable materials. Remanufacturing returns end of life products or parts to like-new or better performance, with a warranty to match. It is commonplace in the US and China, and is a key feature in the EU Circular Economy strategy. Using renewable energy completes the building blocks for a sustainable process. Is there a risk that those durable products will cannibalise future sales? Circular business models support these design principles to benefit user and provider. Contracts based on service and performance encourage win-win outcomes, with shared objectives for efficiency, longevity and up-time, and simplifying end of use disposal for the user. Complex, interconnected global issues are challenging business and governments: how to improve living standards for a growing population, against a backdrop of finite resources, degraded land, depleted ecosystems and an urgent need to decarbonise our energy, buildings and industry. The World Economic Forum, the World Bank, and an expanding list of global brands including Danone, Dell, Renault, Unilever, Nike, and H&M are investing in the circular economy. What is driving this interest and take-up? Growth Within, a report by McKinsey and the Ellen MacArthur Foundation highlighted circular opportunities worth €1.8 trillion in Europe, equating to a 7 per cent improvement in GDP, through improved resource productivity and security, reduced waste and associated costs and increased employment. Ambitious, yet crucial 2015 Paris Agreement targets involve pathways for ‘deep decarbonisation’, including fourfold increases in energy efficiency per unit of GDP by 2050 for most developed economies, requiring a radical change at a system scale. Resource efficiency and incremental improvements are too slow: we need to rethink our traditional ways of manufacturing and consumption. Modern supply chains are often energy intensive, long-distance and based on mass-production supply chains, resulting in heavy energy, water and material footprints. How can circular economy thinking strengthen your organisation? Systems thinking can help us examine pressures and desires for all our stakeholders. Examining the interconnected system uncovers a network of groups affected by our organisation: suppliers (and their suppliers), communities around each production and distribution facility, customers and consumers, shareholders, employees, governments – and the environment. Exploring the ways they are impacted by our existing value chain, and how changes might benefit or harm them, helps us choose options with win-win outcomes. A longer-term perspective might start with where we need to be by 2050 and ‘backcast’ to identify critical decisions. Where are the risks? For materials already in short supply, let’s not assume we’ll have abundant supplies at current cost levels. To align with national decarbonisation and energy efficiency targets, we could highlight energy-intensive parts of our process, such as material extraction and refining, and the transformation of chemicals and minerals into compounds. Could we change the specification or design, perhaps swapping virgin sources for recycled materials? You might start by blending some recycled content into the material mix or specify recycled content for one product to test customer reaction and compare performance. Dell’s circular projects include post-consumer recycled plastics in its PC’s, and packaging made from waste wheat straw. Exciting innovations use abundant, natural materials, such as algae for fibres and leather from fish skin. Ecovative grows mycelium from waste straw to use in packaging and construction materials. Recovertex collects and sorts textile waste from all over the world, creating high quality yarns for a wide range of apparel, home, and industrial products, that can be recycled again into new yarn, for a ‘closed loop’ solution. How could you increase resilience? Could you recover some of your own products, components or materials at the end of use for a new use cycle? What valuable information could you glean from assessing wear and performance? Could you ‘tweak’ the specification to capture value through reputation enhancement? Adidas makes trainers and swimwear using ‘ocean plastic’ (discarded fishing nets and plastic bags from the 8 million tonnes of plastic waste that ends up in the oceans each year, threatening marine life and entering our food chains). In 2016, Apple, often criticised for its ‘planned obsolescence’ approach, launched its Renew trade-in scheme for end-of-life hardware (though not accessories like headphones). What hidden resources do you depend on? 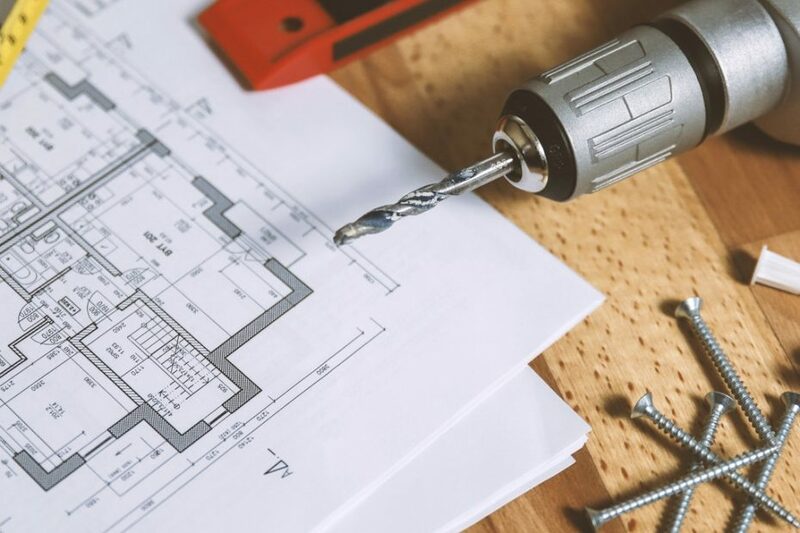 The Bill of Materials may obscure upstream materials or inputs – water, forests, agricultural land – critical to your supply chain, but not easily visible. Agriculture uses two-thirds of freshwater withdrawals, and by 2050, over half the world’s projected 9.7 billion people will live in areas where fresh water supply is under pressure. Around 40 per cent of the world’s agricultural land is already seriously degraded. For renewable materials, could you use an existing waste stream, prioritising manufacturing or agricultural waste, followed by post-consumer waste? If you need to use specially grown crops, could you switch to something suitable for marginal areas and poor soil (eg bamboo, nettles, bulrushes). Are the sources sustainable, or competing with food production? Strengthen relationships. A focus on transaction costs tends to overshadow the cost of finding new, reliable suppliers, acquiring new customers or launching product updates (including disposal costs and lost sales for the ‘obsolete’ product). Could you re-shape supplier contracts, to create shared objectives for ‘up-time’, efficiency and performance outcomes, with the supplier providing consumables, maintenance, energy, and end-of-use removal and disposal? What do your customers really want? Is there a risk of disruption by competitors offering service contracts? What other habits could we re-think? Are you automatically procuring new equipment when pre-used or remanufactured items would meet specification and lifecycle targets and cost less? You may be able to procure a high-end brand instead of a cheaper, less functional or less reliable item. Don’t overlook equipment and consumables: the ‘sharing economy’ can include collaborating with local businesses to share equipment for peaks, or a sector-wide initiative for returnable transit packaging. A broader sustainability checklist is the Future Fit Business Benchmark, (see my article on Impact Sourcing in Issue 2) with four straightforward system conditions to help you assess your entire business and understand what to change, where. The circular economy means switching our ‘take, make, waste’ approach to a whole-systems perspective: designing products and services that recover, restore and cycle valuable resources. Instead of behaving as if we are a small population on a big planet, we are now in the Anthropocene: a big population on a small (and depleted) planet. Disrupt, or be disrupted… If your organisation is already ‘tuned in’ to the circular economy, you can engage with product designers, marketing teams and finance, to explore risks and opportunities. If your organisation is just starting the sustainability journey, you might focus on low-profile categories such as office consumables or facilities management, using early learnings and success stories to generate interest and buy-in for bigger-scale, longer-term projects.